This is part 3 of a four part series in the Energy Diagram Module. Stay tuned for Part 4! 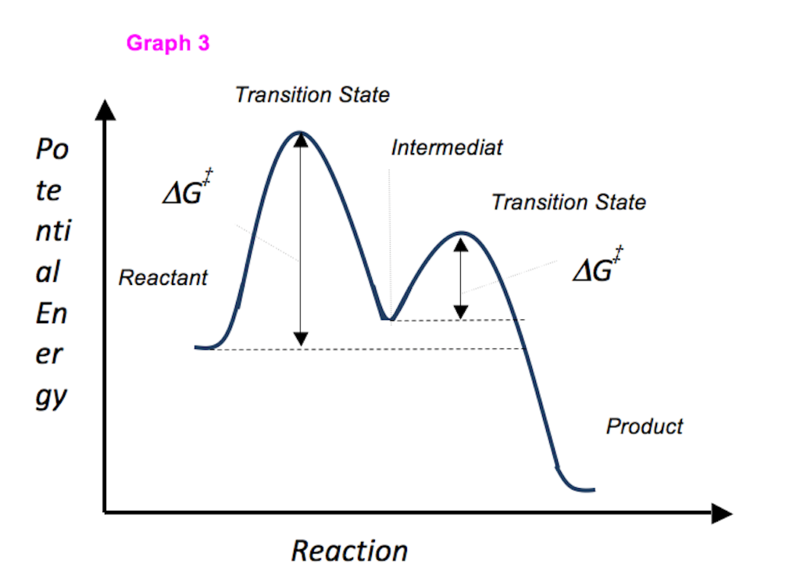 Sometimes reactions are more complex than simply a transition state (Graph 3), which would represent a single step in the reaction mechanism. You will soon see most reactions proceed in a multistep fashion. 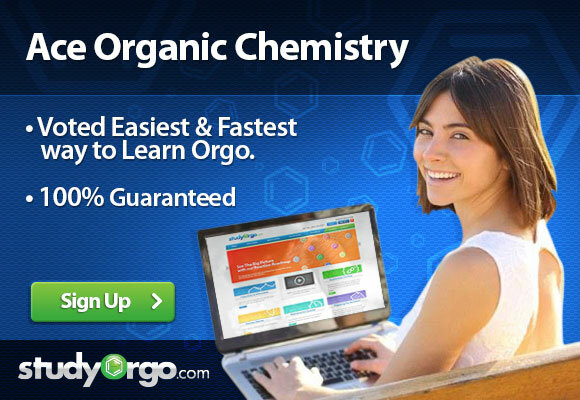 In this case, reaction mechanisms often form lower energy and sometimes isolatable intermediates. The reaction intermediate occurs between two transition states however its energy is still higher than either products or reactants. 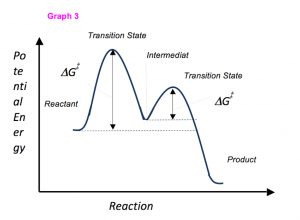 Note that the activation energy between reactant and the intermediate (step 1, ΔG‡1) is greater than the activation energy between the intermediate and the products (step 2, ΔG‡2). Thus it can be said that step 1 is the rate-limiting step of the reaction, which is the highest energy barrier that must be overcome.